South Congress Hotel presents the 2nd Annual Ice Cream Showdown, where Austin's best pastry chefs go scoop-to-scoop in a freezingly fierce competition. 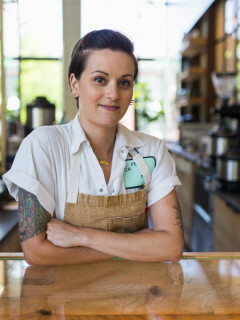 The reigning champ and New Waterloo's Corporate Executive Pastry Chef Amanda Rockman will host the night alongside Joe Barlow of KXAN Studio512. Head to the SCH courtyard and purchase your scoop tickets from the Stephen F. Frostin’ ice cream truck. Each scoop is $3 - try one, or try ‘em all. Next, cast your vote at your favorite chef’s table by 8:15. Then stick around to see the winner crowned while kicking off the free screening of Clueless in the SCH courtyard.